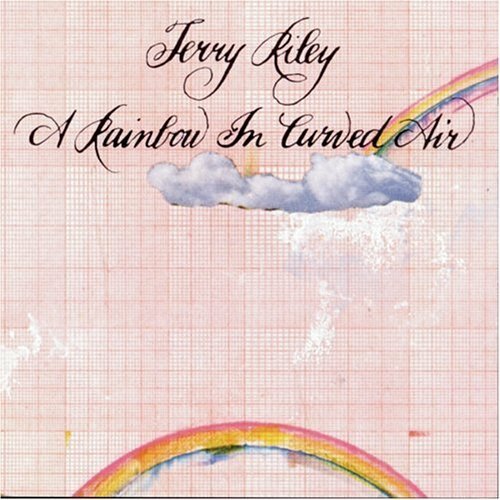 A Rainbow in Curved Air is the third album by experimental music and classical minimalism pioneer Terry Riley. Through the use of overdubbing, the composer, a keyboard virtuoso, plays all the instruments on the title track: electric organ, electric harpsichord (Rock-Si-Chord), dumbec (or goblet drum), and tambourine. The work begins with a simple minimalist drone but quickly erupts in exciting rapid-fire figurations far removed from typical slowly evolving minimalist structures (as in Riley's own In C). The rest of the piece explores various layered keyboard and percussion textures.